Moringa oleifera is the best known of 14 species of Moringa tree (family Moringaceae). It is a fast-growing, drought-resistant tree native to sub-Himalayan tracts of northern India, and is now growing worldwide in the tropics and subtropics. Its leaves and pods have great nutritional value, yield many vitamins and minerals, and have been promoted in CWS projects in West Africa as a nutritional supplement for children and mothers. Parts of the tree can also be used as animal forage, a domestic cleaning agent, perfume, dye, fertilizer, medicine, water clarifying agent, fiber for rope, and as an agent for tanning hides. Does the Moringa tree grow in the United States? The Moringa tree does not tolerate freezes or frosts. In Florida, it can be grown safely south of Fort Myers. It may also grow in Hawaii. And, several people are experimenting with growing it in California and Georgia. Though Church World Service has seeds on hand for the promotion of our Moringa tree program, we do not have them for sale in the U.S. Moringa seeds are available from ECHO (Educational Concerns for Hunger Organization) at (941) 543-3246. Also, Trees for Life may have them at certain times of the year. Call (316) 945-6929 to inquire. Where can I get Moringa leaf powder? 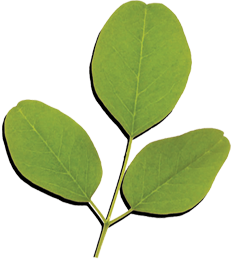 Moringa leaf powder is not commercially available in the United States. CWS, however, is promoting several Moringa-growing projects in West Africa. One of these projects, located in Senegal, is intended specifically to grow Moringa for its leaves, which will be dried and crushed into a powder. There is a rapidly increasing demand for Moringa leaf powder for use as a nutritional supplement by health clinics and families in Senegal. At the present time, leaf powder is being produced at some health posts and purchased from individuals. In order to cover the needs of urban centers in particular, a more methodical and sustained production is needed. I live in the tropics. What can I do with the Moringa tree growing in my area? Moringa oleifera is a multi-purpose tree with a variety of potential uses. The leaves, pods, seeds, flowers, and roots of the Moringa tree are edible, though the bark of the Moringa root should be scraped off because of its toxicity, and the flesh of the root should be eaten sparingly. For Moringa recipes and preparations, click here. What can I make with Moringa leaves or pods? Are there any recipes? Young, tender leaves can be cooked and eaten. All leaves can be dried, crushed and used in soups or sauces. When still very young and pliable, the entire pod can be prepared and eaten in the same manner as green beans. For Moringa recipes and preparations. Where does CWS have Moringa projects? CWS West Africa representative Lowell Fuglie began experimenting with the Moringa tree and its potential nutritional benefits several years ago. So far, CWS has promoted projects in Burkina Faso, Gambia, Guinea Bissau, Mali, Niger, and Senegal, where mothers, children, and other members of various communities are benefitting from eating the leaves, seeds, and pods of the Moringa tree. I’ve heard that parts of the Moringa tree are being used as an AIDS treatment. Is this true? Church World Service is collaborating on research to explore the potential benefits of Moringa as a nutritional therapy in relationship to HIV/AIDS. Good nutrition is of almost equal importance as drugs in stabilizing the health of AIDS patients. Working with a consortium of institutions in South Africa — the Nutritional Intervention Research Unit of the Medical Research Council, the Faculty of Medicine, University of Stellenbosch at Tygerberg, clinicians at the Tygerberg Hospital — and members of the Global Initiative for AIDS Nutrition Therapy-GIANT, we will be testing the effects of varying doses of Moringa leaf powder in helping to correct nutritional imbalances and promote resistance to infection in people who are HIV-positive. CWS West Africa representative Lowell Fuglie outlined the Moringa project and the leaf powder’s possible use as a local therapy for AIDS nutrition on April 23, 2001, at an All Africa Council of Church’s HIV/AIDS conference held in Dakar, Senegal. Representatives from the World Health Organization and Senegal’s Ministry of Health were in attendance. The presentation was well-received. Blindness is a problem in many areas of the world. How can the Moringa tree help? Though there are many causes of blindness, Vitamin A deficiency causes impaired dark adaptation and night blindness. Vitamin A deficiency is a big problem in many countries where Vitamin A is not available in sufficient amounts in the staple foods. In Guatemala, sugar is fortified with Vitamin A, and in Asia, a variety of rice has been fortified with the vitamin in an effort to eradicate the effects of Vitamin A deficiency. In West Africa, CWS hopes to eradicate Vitamin A deficiency through promotion of the edible leaves, seeds, and pods of the Moringa tree. Vitamin A deficiency affects both adults and children, though, it can be more serious in growing children. It can cause blindness and leave children vulnerable to disease because of weakened immune systems. Moringa leaves and pods contain a high proportion of Vitamin A. Eating Moringa leaves, pods, and leaf powder can help to prevent night blindness and eye problems in children. Can the Moringa tree be a benefit in the fight against desertification in North Africa? The Moringa tree is fast-growing and grows best in arid conditions, making it ideal for mass planting to stave off encroachment by blowing desert sands. It can also be grown as a living fence, helping to prevent overgrazing by wandering cattle and other animals. I’ve heard that various parts of the Moringa tree contain a lot of vitamins, but wouldn’t it be more efficient to take a supplement in pill form in order to get the total daily requirements for vitamins and minerals? Pills are a wonderful solution for those of us who can afford them and don’t have the time to eat properly. But pills are also impractical for people who do not have access to them because of their cost, or their unavailability in remote areas. The Moringa tree is a wonderful solution to providing additional nutrition to meals in countries where it is indigenous and where people have no access to vitamin pills.